Top 7 European poker players for world series of poker according to their cash winnings and participation. Pierre Neuville is a pro from Knokke-heist, Belgium. He won many titles and events at various poker tournaments. He is at 262nd position in all time money list. Best live cash for him is $1,203,293 and total earning now exceeds to $3,403,279. 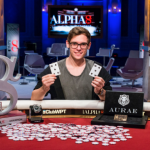 In the year 2015 Neuville, participated in Two WSOP Events. The events were WSOP $ 10,000 No Limit Hold’em Main Event (Event#68, got position 7th and cash $ 1,203,293) and WSOP $ 1,500 No Limit Hold’em Millionaire Maker (event#16, Got position 179 and collected $ 6,973 of cash) for 46th WSOP 2015, Las Vegas.His last participation was at France for € 300 + 30 No Limit Hold’em – Enghein Cup (Event #7) where he got 12th place and took home € 1,890 or $ 2,067. Alexander Petersen is another renowned poker player of Europe. He currently lives in Denmark and has won some real big money poker championships title. The year 2015 seems to be a great year for him because he won the event#45 (got 1st Position) on July 26, 2015 of WSOP $ 10,000 Pot Limit Omaha Championship and collected a cash amount of $ 927,655. This was the best live cash for his poker career. Total earning for him exceeded to $1,209,482. Javier Zarco is from Madrid, Spain. His current rank is 1,083rd to all time money. Best live cash for Zarco is $791,690 and total earning is $1,204,811. The last major event to which Zarco participated was at WSOP $1,675 No Limit Hold’em played on 20th November for WSOP Circuit Las Vegas. He secured 111th position and collected a cash of $3,169. Zarco also played at Event#16 of 46th WSOP, Las Vegas for $ 1,500 No Limit Hold’em Millionaire Maker and got 2nd position and a hugh cash of $ 791,690. Alexander Turyansky of Germany is at number#5th position in european poker players for WSOP 2015. The German pro has done some good work last year in 2015. 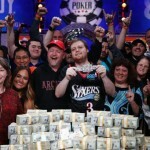 One of the major event to which Turyansky participated and earned lots of money was at WSOP $ 10,000 No Limit Hold’em Main Event. This was the 68th event of 46th World Series of poker (WSOP) 2015, Las Vegas. He secured 10th place of the toppers list and added a cash of $ 756,897 to his main account. All time earning for him is $858,723, whereas all time rank in money list is 1,602nd. Another big name in European poker market is Paul Hoefer. A native from Germany has won many titles along with WSOP Gold Bracelet. In the year 2015 Paul won title Little One for One-Drop. This was the event#61($ 1,111 No Limit Hold’em) of WSOP, Las Vegas 2015. 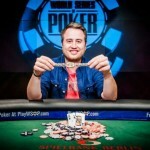 By winning the title and a gold bracelet for him, Paul made a very good cash of $ 645,969. 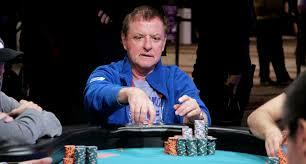 Paul Participated to 4 events of 46th WSOP Championship, Las Vegas. The events were #18($ 1,000 No Limit Hold’em Turbo got 63rd place and took home $ 4,190), #28($ 1,500 No Limit Hold’em Monster Stack, got 410th place and cash of $ 4,563), #36($ 1,500 Pot Limit Omaha, Got 109th place and cash $ 2,50),#61($ 1,111 No Limit Hold’em Little ,OFOD where he topped the field and won the gold bracelet as well as a cash of $ 645,969). Another big poker player in Europe is Fedor Holz. Holz holds 213th rank to all time money list. The year 2015 was a great year for him. Holz won some real good games/events in this year. He participated to 6 World Series of poker events such as WSOPE 2015 at Berlin and secured 6th position and collected 6th € 96,625 of cash. Two other big events for Holz were 46th WSOP, Las Vegas 2015 and the events were #37 and #68.